Getting dream job or meeting with a desired company is the biggest challenge faced by the students today. 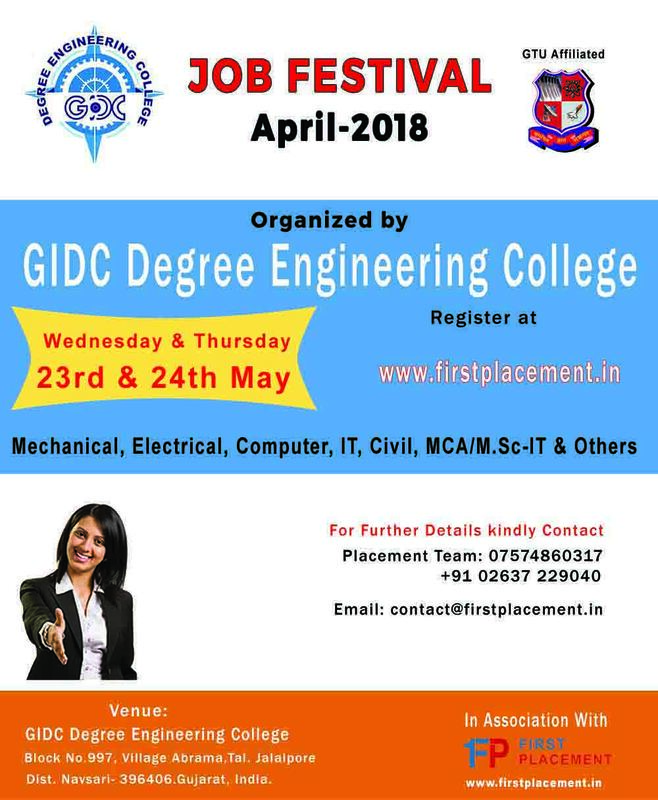 To resolve such challenges the solution is right here in one of Job Festival “My First Placement” planned on 23rd & 24th of May 2018 organized by ‘GIDC Degree Engineering College, Navsari’. This event would be one of the first of its kind in India where companies seeking to employ talent meets the desired candidates under one roof.